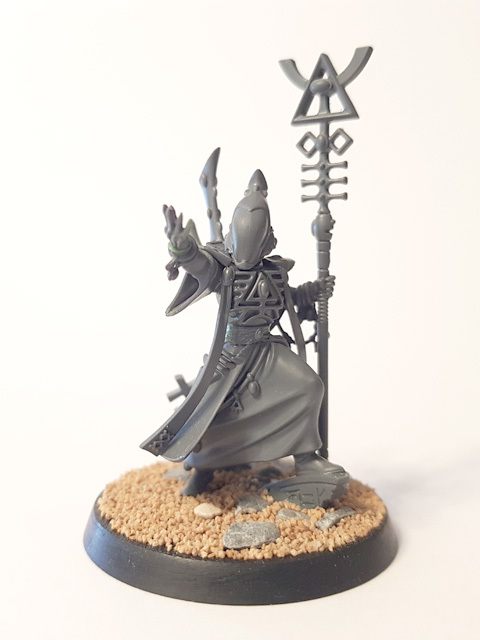 My second Spiritseer was assembled with little alteration, as the standard miniature is excellent. I used a 40mm base and added some ruined scenery to tie it in with my other character models. 1. The model has been given a larger (40mm) base to match my other character models. Additional ruined scenery was added to the base. 2. Rear view of the assembled model. 3. 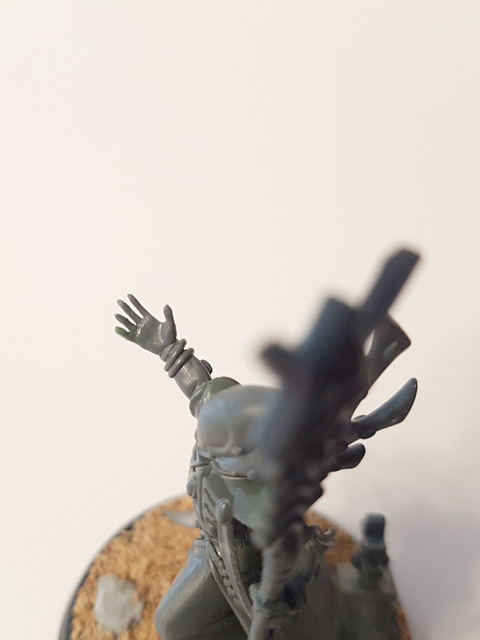 I replaced the right hand using one from a Harlequin model. The standard miniature is wielding a short blade; an odd choice since that weapon doesn't feature in the model's wargear in the accompanying rules. 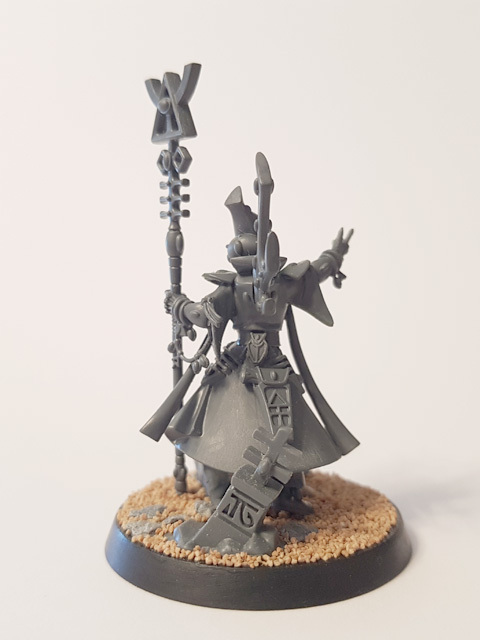 I prefer this open-handed gesture as it looks like a visual command to rise up; appropriate, as this is an Eldar that communes with dead spirits. 4. 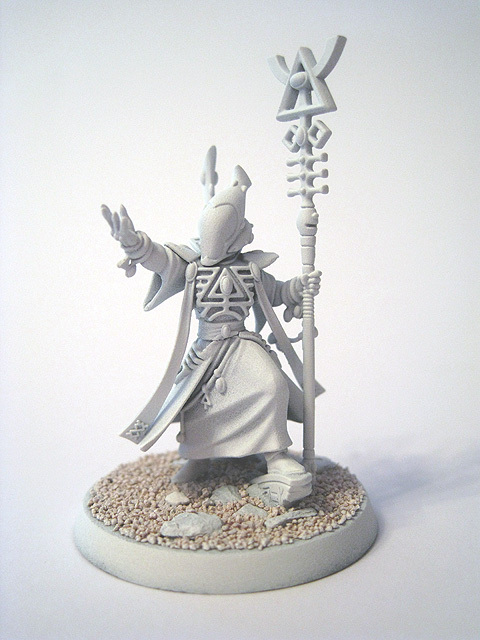 The Spiritseer has now been undercoated.